If you don't already know, I am a bit of a Pinterest whore; (shhh... I didn't say that)! I love it, and I use it for everything! With that being said, I also find How-To's, Make-Up and Hair Tutorials along with links to sites that I love! I thought I would show you some of the reasons that I love it so much and why I think that anyone would be able to find something that they are looking for, for any occasion. And so I rounded up a few of my favorites! From inspiring travel boards to chic outfit boards, here are the top 7 of the trends I am following! 4. Gold Metallic Magnetic Letters - would make a great last-minute house warming gift. 5. Jessie James Hair Tutorial - easiest dressy look in 5 minutes. 6. Boozy Fruit Salad for brunch with the girls. 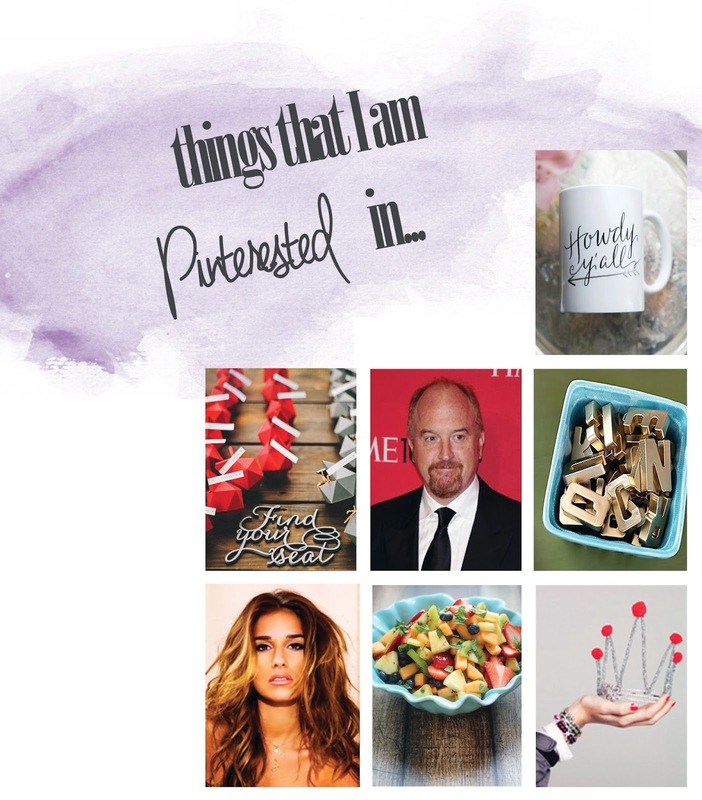 Who is your favorite to follow on Pinterest?